Delightful Fruit Tray in Winston Salem NC - Sherwood Flower Shop, Inc. Nothing brightens up a work week better than this delightful tray full of fresh fruits. Great for office or home. 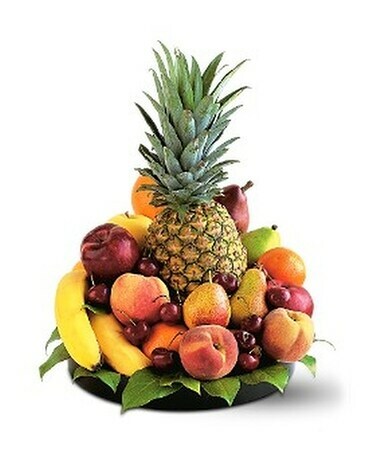 Apples, bananas, oranges and pineapple arrive in a low round tray.